Written By: David S. Goyer, Damian Kindler, Ian B. Goldberg, Lina Patel, Nadria Tucker. Based on the characters by Joe Shuster & Jerry Siegel. Starring: Cameron Cuffe, Ian McElhinney, Georgina Campbell, Ann Ogbomo, Elliot Cowan, Wallis Day, Rupert Graves and Paula Malcomson. 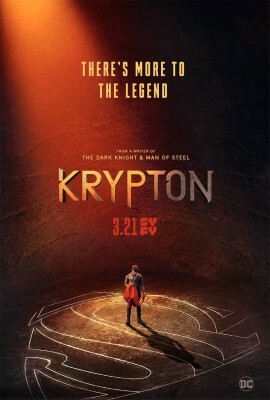 Impressive Cinematic Visuals and Production Design, A Solid Cast and Performances, Easter Eggs and References are respectful to the lore of Superman, Interesting twists to the world of Krypton and some story elements. It tries to be way too many things at once, boring action scenes. Set centuries before the birth of Kal-El, the story centers on Superman’s grandfather, Seg-El (Cameron Cuffe). At a young age he lost his family name and status due to his grandfather, Val-El’s (Ian McElhinney) studies of them not being alone in the universe and not swearing loyalty to their high priest. Years later, he learns from a time travelling stranger that the planet is doomed of an oncoming threat that would jeopardize his world and the future of his grandson, Superman. With this knowledge he gets involved into unraveling the secrets of his house and how it can save Krypton. Much of Superman related media doesn’t exactly spend a lot of time in his homeworld, Krypton as it is always takes place minutes away from total annihilation. Though we have a taste of what the world like Snyder’s Man of Steel remake, The co-writer of the film himself, David S. Goyer finds an opportunity flesh out these uncharted elements even more. Cue, SyFy’s Krypton. A new series that puts the world and its people in detail; from its theocratic culture and family-based classes. It’s almost like another show that involves hokey religions, power struggles, and people wielding ancient weapons (totally talking about Game of Thrones). This is a superhero show that doesn’t necessarily have the usual superheroics one would expect. 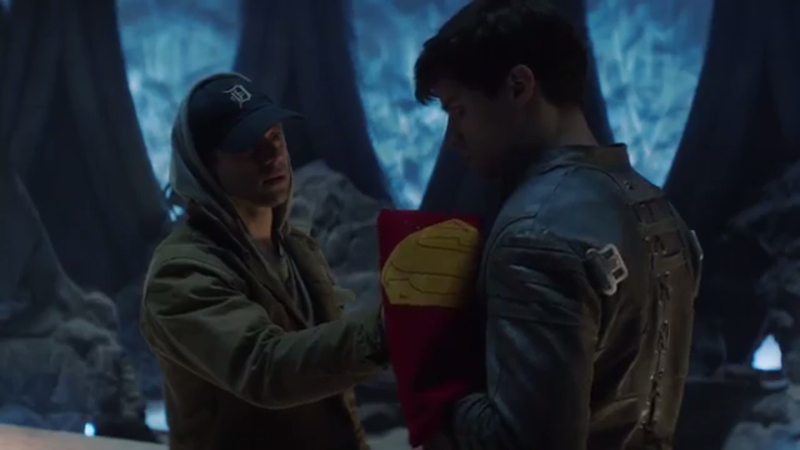 This is A Krypton where the entire populace is not made up of thespian actors, who has red and blue motifs on their clothing but does not fly, and bleed from one hard punch. The lore and the kind of Kryptonians they have on the show are re-made in a different angle. Such as Cameron Cuffe’s Seg-El being an antithesis of what Superman is and what House El stands for, which does provide room for an arc to build upon what we know of what House El will be down the line. The pilot laid some solid foundations for the supporting cast as well such as Georgina Campbell and Ann Ogbomo being the members of House Zod. Ogbomo’s Alura Zod shows a fair amount of ferocity and competence in their field that is a trademark of house Zod. Whereas, her daughter Lyta being the polar opposite, shows a sense of vulnerability. Perhaps the greatest compliment I could give to show so far is that it is visually cinematic for TV. This is the best we’ve seen of Krypton for sure; from its skylines, the quarters, the impoverished rankless areas of Kandor, and the fortress of solitude were great to look at. Unlike its darker and grittier counterpart, Gotham; just by the setting alone you could see how the creators have a sense of respect to lore and legacy of Superman. It doesn’t exactly beat you on the head with excess of said references on just the first episode. Perhaps the best references are the musical cues, you’ll get to hear variations of Williams’ iconic Superman theme around and it does seem like a good recurring theme song of sorts for the show itself whenever the plot moves forward to Seg-El’s journey. Though I can’t say the same to the quality of the costumes. The costumes are embarrassingly generic; there are borrowed elements from Equilibrium and Matrix for sure, but then there are palace guards and background characters that seems to look like they have popped out of Tron Legacy or The 100. There’s pretty things to look at sure but Action-wise, there’s nothing exciting. f you get tired of seeing The Flash solve problems by running around a circle or Arrow doing kickflips to defeat someone — You will get bored of the usual arm locks and uppercuts they throw around in the same bumpy walled alleyway. The greatest challenge however is the investment of the fans on this new story. I mean how would you make a good Superman show without Superman? It’s too early to say if whether or not this is more of an ambitious thing or a bad thing — it’s just that the show tries to be many things. From the pilot alone it is a Game of Thrones shell coated around a Terminator futuristic dystopia with a superhero chosen one story. On one hand, It seems like a dark and edgy retelling akin to Snyder’s style, but then you have CW-ish drama tropes (oohh a romeo and juliet-like scandal! JUICY!) and tired comedic dialogue in the mix. Then they try to put a reflection to real-world problems like classism, denial towards scientific claims, and religious governance. Which does in fact make Krypton feel more alive in its world-building. However, that won’t really be the main focus as there is an overarching time travel plot (at least that’s how the show puts it). To be honest, I felt as if the time travel story isn’t exactly needed to set up these stakes. 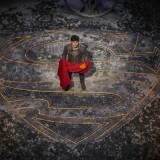 Because Brainiac could make its way to Krypton without being from the future, the plot would provide some other way for Seg-El to discover the key to the proto-fortress of solitude that doesn’t rely on a time traveller, and Seg-El could realize the importance to build House El from the ground up without knowing the fate of his house. Again, it’s too early to say as to how this will impact the overall show, but I’m not as hooked with the time travel aspect. As how prequels come and go, the stakes are undercut due to what the audience already knows on its endgame. We know that Brainiac won’t succeed because if he did Krypton or the greatest hero of them all would not exist. With that in mind, I ended up asking myself — Where does it go from here? 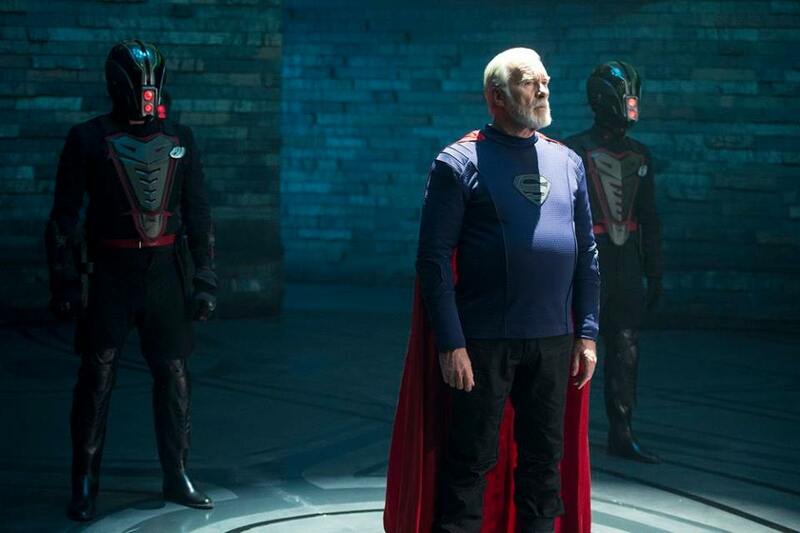 At its core, it is still Seg-El’s story and how his choices among these things would affect the entirety of Krypton itself. Not to mention an engaging cast that would help carry the series throughout the season. Hopefully in the next few episodes the series would be able to focus and juggle through the many elements they have introduced in this pilot. Watch out for new episodes of “Krypton” on WarnerTV every Thursday at 9:00 P.M.